Happy Sunday, space fans! Here's what was floating around on orbit this week. *Yoink! * The Canadarm-2 snags the SpaceX Dragon resupply craft. The SpaceX Dragon launch last Tuesday proved a resounding success, where despite a day-long weather delay in launching from Cape Canaveral, Florida, the Dragon finally traveled for two days to reach the ISS at 06:33 on Friday. It was grappled onto the Harmony module via the Canadarm-2 robotic arm, (wo)manned by ESA astronaut Samantha Cristoforetti (or, as she tweeted, "A #Dragon came knocking at our door. Thought it'd be nice to grab it & see what's in it.") On Saturday, the crew began unpacking the two-ton payload of scientific cargo and other supplies. Among the items delivered were materials for the Rodent Research-2 Experiment, which assesses the nature of viral infections and possible cures in a microgravity environment. 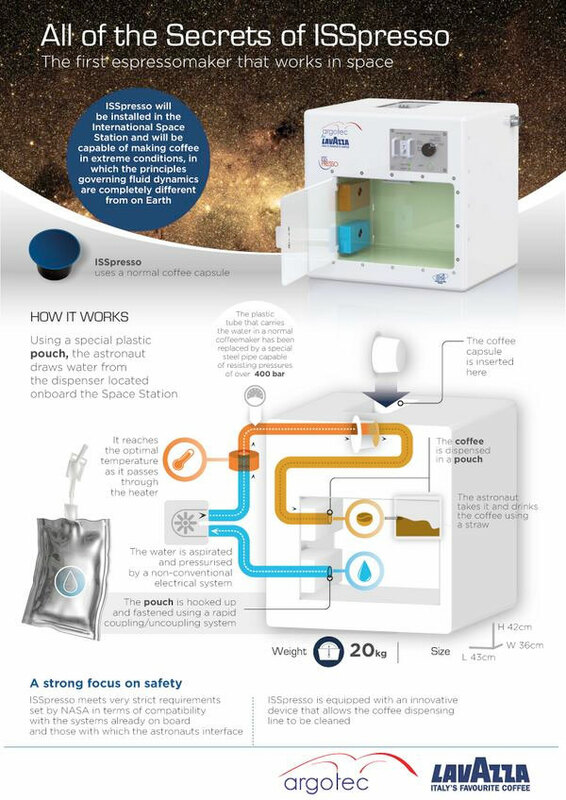 This research will prove critical to future spacefarers who venture beyond our solar system and need to keep their health and immune systems in top order. The best science needs the best fuel. The Falcon 9 rocket, which propelled the Dragon into orbit, underwent an interesting experiment upon its detachment from the Dragon craft. Like the previous Falcon 9, controllers on the ground attempted to land it on a barge in the open ocean. Without problems, there's no prosperity. They'll get it eventually. Well, that's why rocket science is a generally-known high standard of difficulty. 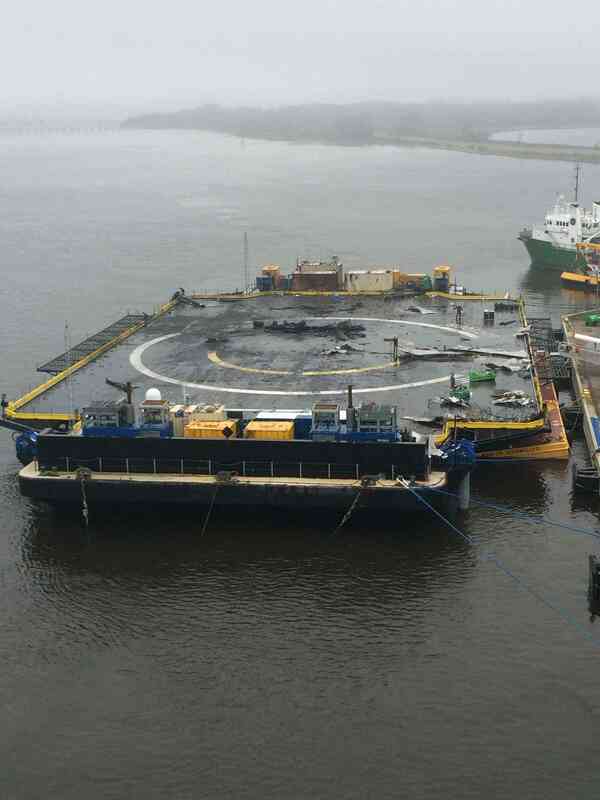 The SpaceX team intends to try the barge landing again in the future. Reusable rockets could mean cheaper and more expedient space trips for the generations to come...we already had some awesome shuttles, and we can do it again! Meanwhile, in orbit..."HERE COMES THE COFFEE. YESSSS." The ISS crew watches the SpaceX Dragon launch from some unique perspectives. In addition to the new supplies and delicious space caffeine, Astronaut Terry Virts celebrated another nice element of Earth life this week. Namely, the 68th anniversary of Jackie Robinson's first baseball game. Virts, who has been photographing major league baseball stadiums from orbit, said that Robinson had been a hero of his since childhood - not just for his athletic prowess, but for what he meant as a human being to the cultural development of America. "Jackie, alongside his wife Rachel, opened up a world of opportunities that had been closed to so many Americans simply because of the color of their skin. What he did took courage - a lot of courage. He had to endure things that most of us could not imagine, and he had to do it while maintaining composure that most of us couldn't begin to muster...they earned the respect not only of our nation, but also the respect of the world. And through their courage, they continued America's journey of racial equality that was so long overdue, but so important in our history." Such a nice tribute to both the past and the future. Virts also released some sweet GoPro footage of his last spacewalk, which makes orbit look objectively outstanding (like, even more so than usual.) Think you'd have the guts to float outside the ISS like this, all while working with wires? Your move, gnarly Earthbound skiiers and surfers. That's all for this week, Earthlings. Tune in next time to hear the next great hits from the stars above this rock! Watch this space! The Dragon dominates a wintry landscape en route to orbit.